Sunday UPDATE: Nailed it on a nothing weekend. Hit everything on the head with the exception of A Good Day to Die Hard, which fell into a fiscal crevasse in its second stanza, down 60%. The Rock's Snitch opened so-so at best, while Dark Skies flatlined as expected. Next weekend should see a big bump in business with Jack the Giant Slayer, Warner Bros. hoping to get a $25M+ opening from the 3D CGI-fest. It's one of those meh February weekends at the multiplex, with just two new releases and neither is expected to do extensive box office damage this Oscars weekend. 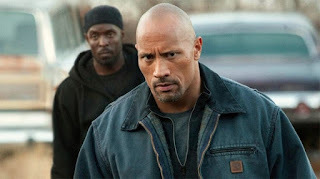 Snitch is the Dwayne "If You Smell What The Rock is Cooking" Johnson's latest effort, a more subdued actioner than his soon-to-come flabbergastingly-outlandish Fast & Furious 6. And Dark Skies appears to be some sort of alien ghost invasion, hard to say for certain as Weinstein chose the non-screening route ahead of today's opening. Yep, that means it blows.